Las Vegas – and the entire State of Nevada – is a hotspot for boating accidents. People take advantage of the many opportunities for boating activities in the large number of natural waterways, including Lake Meade, Lake Tahoe, and the Colorado River. Accidents can happen anytime and there are many repercussions to deal with after an accident that can prove difficult. If you have been injured in a boating accident, Las Vegas boat accident lawyers are ready and willing to help you with your case. Nevada, like most other states, has boating rules and regulations in place to promote safety for everyone. However, not everyone obeys these rules and regulations, and this kind of negligence can lead to catastrophic accidents and injuries. Defective products and equipment cause a number of Nevada boating accidents, creating harm when those on board least expect it. When boat parts or equipment (such as motors, steering mechanisms, etc.) are defective and lead to boating accidents and injuries, manufacturers and distributors can have liability for the resulting injuries and damages under a products liability theory. Manufacturers and distributors can be held liable for manufacturing defects, design defects, or warning defects. Just as operating a car or truck while under the influence of drugs or alcohol can have devastating consequences, so can operating a boat under those same circumstances. Boating under the influence – or BUI – is another leading cause of boating accidents in Nevada, as well as nationwide. In Nevada, a boat operator can be criminally charged with boating under the influence if they operate a watercraft in the state with a blood alcohol level of 0.08% or higher. Besides facing criminal penalties, including fines and jail time, boat operators convicted of boating under the influence can also be held responsible for the boating accidents they cause – as well as for all of the resulting injuries and damages to others. The Nevada Department of Wildlife is responsible for enforcing boating regulations in the State of Nevada and for educating boat operators on the safe and responsible operation of boats and other watercraft. Boating accidents can lead to catastrophic injuries, and operator negligence poses a significant hazard to the public-at-large. Injured in a boating accident? 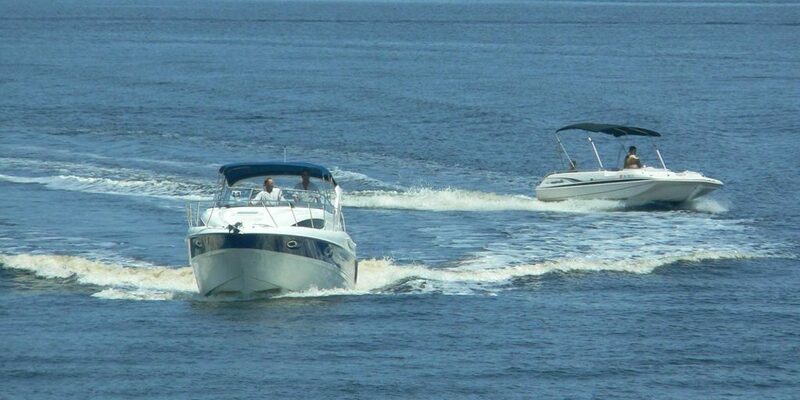 An experienced Las Vegas boat accident lawyer will assist you with your case. Call us today at 702-877-1500, use our LiveChat or fill out our online form. Your consultation is free, so you have nothing to lose!